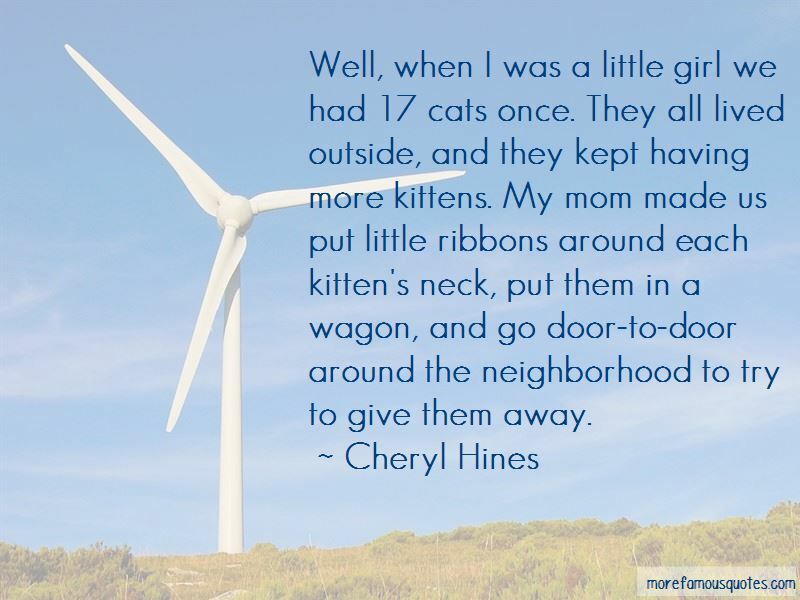 Enjoy reading and share 18 famous quotes about Cats And Kittens with everyone. “The man walked past me and stopped, observing the blood running down my neck. "Your injury. Let us tend to it." He looked out through the open doorway and silently gestured to someone out there. "Our world," he said, "is far more advanced than yours. For reasons you'll understand shortly." A thin, bony, naked woman entered the room, carrying two small, white kittens. She sat one of the fluffy cats in my lap and stuffed the other down my shirt. She turned and left. 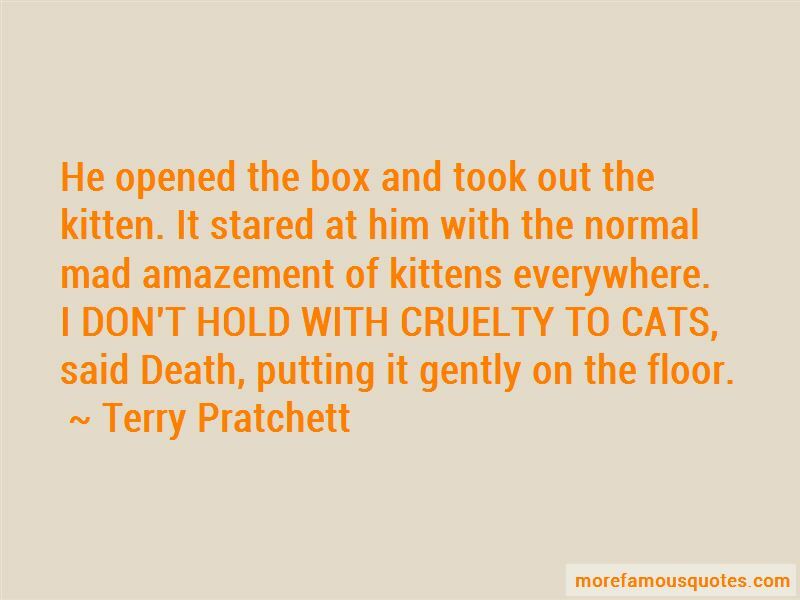 “He opened the box and took out the kitten. It stared at him with the normal mad amazement of kittens everywhere. 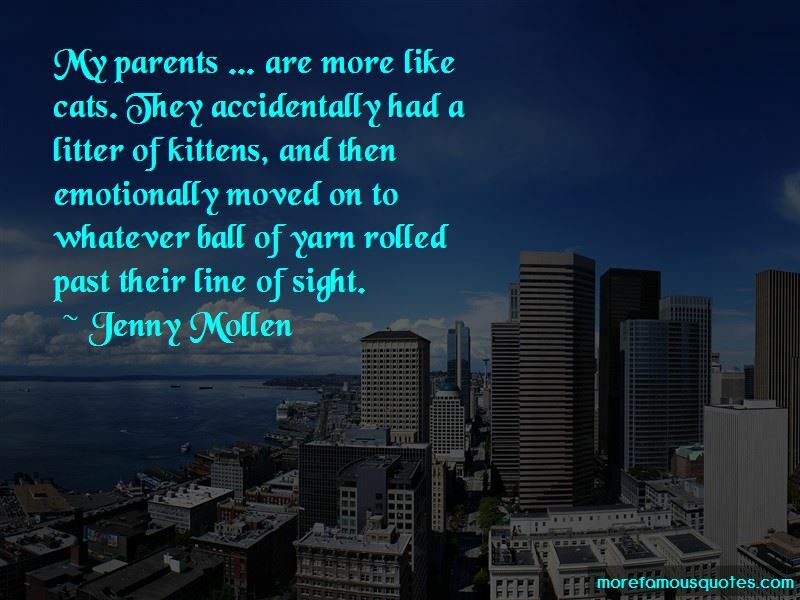 Want to see more pictures of Cats And Kittens quotes? 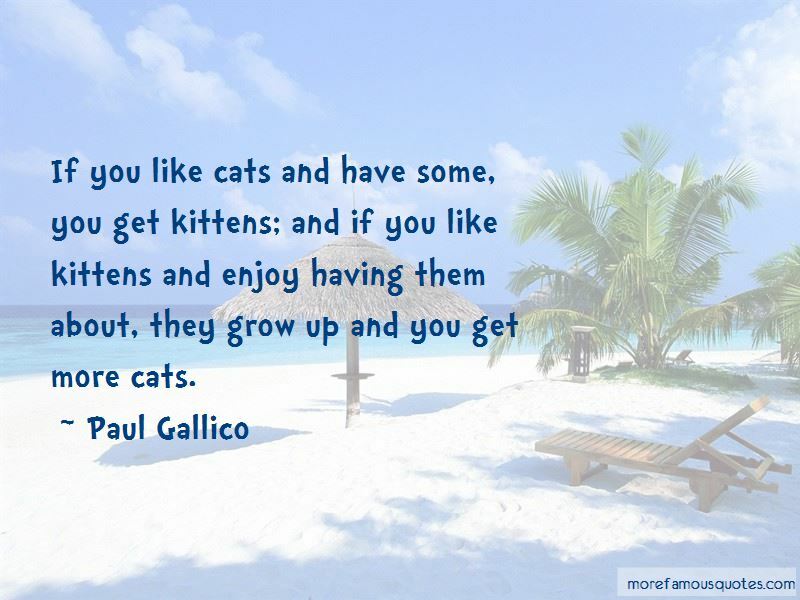 Click on image of Cats And Kittens quotes to view full size.